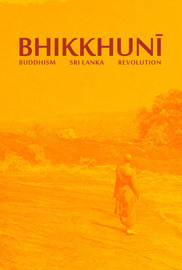 “Bhikkhunī – Buddhism, Sri Lanka, Revolution” is a documentary film about the revival of women’s ordination in Theravāda Buddhism. Women in Theravada countries have a chance to become bhikkhunis (fully ordained Buddhist nuns) since recent years. They regained this right after 1000 years long break. The main characters of the film are: Ven. Bhikkhunī Kusuma (Sri Lanka), Ven. Bhikkhunī Dhammananda (Thailand) and Ven. Bhikkhunī Gautami Samayiki (Bangladesh). They are the first bhikkhunis in their own countries. There are two versions of the film: a feature-length (1 hour) and a short one (24 minutes). This is a short. If you are a Bhikkhunī or Bhikkhu and you would like to watch the documentary, please write to me at bhikkhuni.doc@gmail.com and I will offer you a password to watch the film for free.